Fortunately, expats’ specific needs offer potential for niche-retailers as well. And there are other holiday niches ripe with potential, many of them service related. Christmas is undoubtedly the biggest day of the year for call volume–-about a 54% increase over a normal day. Because it lands on a Sunday this year, we are expecting even larger numbers than usual. Last year VIP turned this trend into cash by offering free minutes to customers who topped their accounts off with credit before Christmas. This year they are promoting their service with a USD 5 credit for anyone who opens a new account. As VIP shows, once a company’s found its holiday niche specific campaigns follow naturally. Emotion drives holiday spending. Expats often look home during the holidays: thinking of friends and family, reminiscing about Christmases past and doing their best to recreate those fond memories abroad. Many travel home, and you can bet the ones who don’t are looking for all their favorite holiday fixings—everything from classic decorations to homemade turkey stuffing. The most effective campaigns will play off this emotional attachment. Expats travel further, and for longer. You’d think companies would have found ways to squeeze every last cent out of the holiday travel market by now… but they haven’t! Few expats purchase travel insurance for their holiday trips, for example, because they’re unaware they need it. On top of that they have a hard time finding products offering good value for money. Perhaps most importantly, though, you needn’t be all things to all expats (that’s why we call it a niche!). In some cases a single sub-segment may give your holiday business a lift all on its own. So zero in on one or two emotionally-charged products or services needed by a specific group of expats. 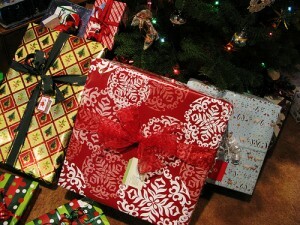 You’ll soon find yourself with a solid base of seasonal customers, regardless of whether your product’s under the tree. Posted in Expat Campaigns.Tagged expat Christmas, expat Christmas campaigns, expat Christmas shopping, expat Christmas spending, expat holiday spending, holiday spending, holiday spending stats.